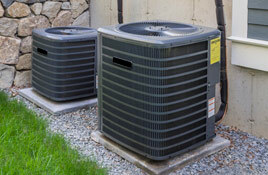 Our air conditioning professionals are trained to perform any cooling service you need, from buying a new air conditioner to maintaining your current unit. We can help you significantly reduce your energy bills & enjoy a more comfortable summer with our cooling sales & services. Throughout the chilly winter season, you need an HVAC system you can rely on for consistent energy efficiency & high performance. Heating & cooling are usually about half of your home’s total energy bill—making it critical to have a heating system as efficient as possible. Poor ductwork, vents, and filters can reduce a home or business’s indoor air quality (IAQ), while new systems can eliminate indoor air pollution for good. Treat it with the attention it deserves by hiring a professional HVAC team with IAQ improvement capabilities. Why Choose Palm Harbor Heating & Air Conditioning? Since 1978 family owned and operated Palm Harbor is one of the most trusted and dependable AC repair and heating companies. When you call us you will be greeted by a warm friendly person ready to arrange an appointment at your convenience. 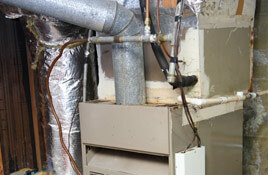 Immediately upon arrival your technician will evaluate and diagnose your air conditioning or heating problem. He’ll spend time talking with you about what he has found, the cause of the problem and his repair recommendations. Your Palm Harbor technician will be respectful, wear shoe covers to protect your floors and will always clean up after himself. You will know the exact cost for your installation or repairs in a guaranteed Up Front Price before any of the work starts. You won’t have to worry about how long the job will take and unlike many ac repair and heating companies we will never surprise you with hidden costs or extra charges ever. So what are you waiting for? 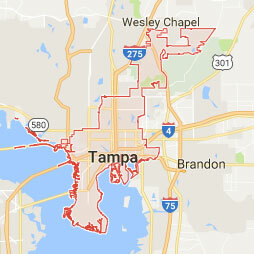 Just call us now at 727-786-3276. Contact Palm Harbor Heating & Air Conditioning Today! We had a major leak in the AC. Palm Harbor sent out 2 great service techs. They were both diligent in finding the issue. It took us several attempts to get all the drips stopped but they never gave up and came back until we were 100% dry. I truly appreciate their professionalism and their commitment to insuring I was happy with the results. They provided excellent service in a timely fashion! I called at 7:30 with at house rising in temperature to nearly 83 degrees and they were here in 20 min. Quick and affordable service. Thanks again to you and your team. We will always be honest in our dealings. Respect for the customer is key. Giving back to community is essential. We’ll do no work until we get your okay. Customer comfort, health, and convenience are priority in all situations. Copyright © 2018 Palm Harbor Heating & Air Conditioning | All rights reserved.